"We made the choice together with our partner PPI-Multitask, who introduced Magic xpi to the world of industrial automation. 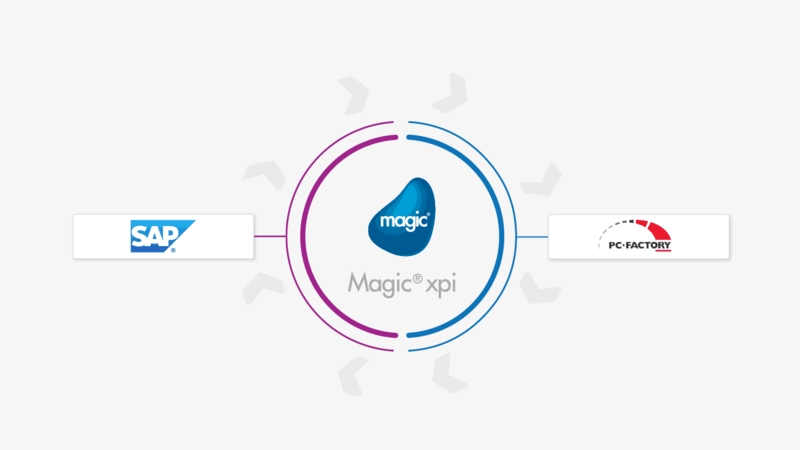 Magic’s technology is the most capable of meeting our integration needs because it is certified by SAP and its pre-built connectors are ready for communication between business applications." Sorocaba Refrescos (Coca-Cola), hired PPI-Multitask to implement PC-Factory MES (Manufacturing Execution System) to automate its production processes. Magic xpi Integration Platform was chosen to automate the data transfer between SAP ERP (formerly SAP R/3) and PC-Factory MES in real time. The integrated environment provides increased control over the annual production of 200 million liters of beverages that supply 60 cities in the São Paulo region with products from The Coca-Cola Company and beers from Heineken Brazil. The integration has also automated and accelerated reporting for the entire production process, facilitating greater control and improving decision-making. Magic xpi offers a certified SAP ERP connector that provides a friendly, low-maintenance interface that guarantees the communication quality between both management applications. Magic xpi eliminates the repetitive maintenance work usually associated with ABAP (Advanced Business Application Programming) and EDI (Electronic Data Interchange) models while still providing high performance and guaranteed product evolution.